What’s on the Christmas list for your bub this year? Choosing gifts for your one or two-year-old is good fun whether you are picking a keepsake or shopping for something that will be put to immediate use. We’ve found the pick of the bunch for babies and toddlers this Christmas. Every little girl should have a keepsake doll and it’s not hard to fall in love with a character from Raggidy Rag Dolls (shown above). 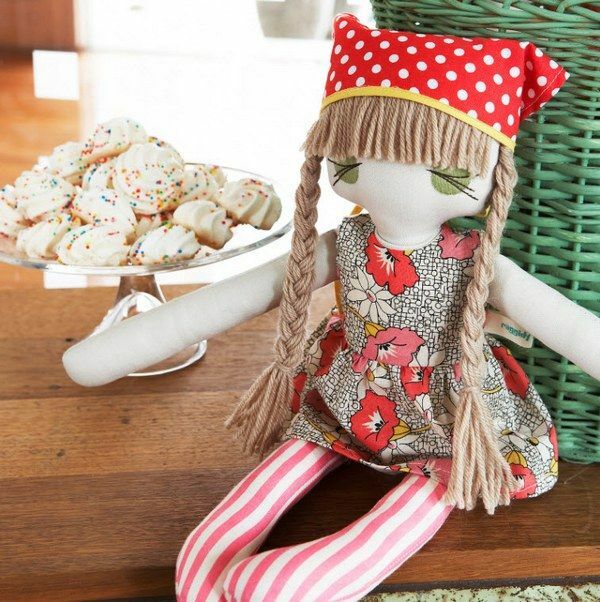 Handmade using vintage fabrics, Raggidy Rag dolls have a distinctive retro charm. Baby boys don’t miss out – gorgeous pirate dolls that make great companions are included in the collection. Raggidy Rag dolls are $99 each. If you’re looking for a softie made to cuddle, look no further than the sweet range from Huglees. 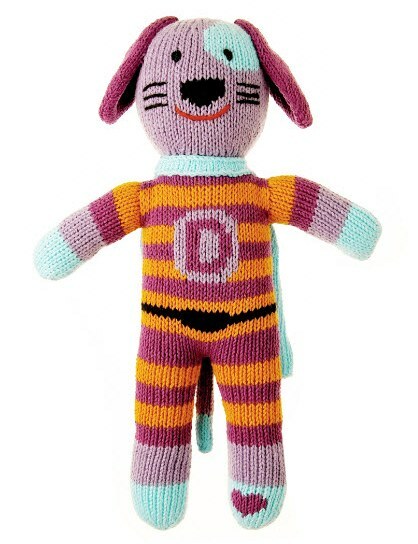 There’s loads of loveable knitted toys to choose from at Huglees but my favourite is Woofie the Superdog – isn’t he cute?! Huglees are priced from $24.95 to $29.95. There’s no question that the Christmas party circuit can be hard yakka for little tykes – so we can’t blame them if they’d ‘rather be surfing’. 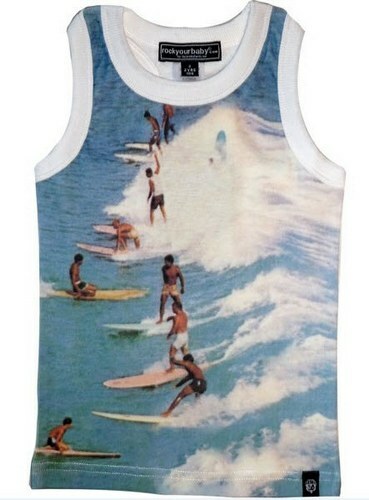 From Rock Your Baby, comes the very hip I’d Rather Be Surfing singlet. Christmas Day can’t get much cooler than this. It’s $29 and available from Rock Your Baby. Will your baby be taking their first steps this Christmas? Help them along with the gorgeous Baby’s First Activity Walker from Eco Toys. 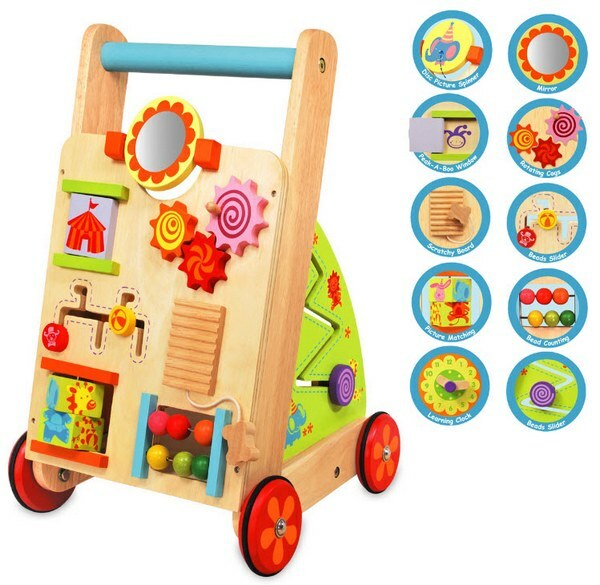 Packed with ‘extra features’ including a mirror, scratching musical board, bead mazes and a flower clock this study walker is sure to be your toddlers go-to toy. Baby’s First Activity Walker is $120. 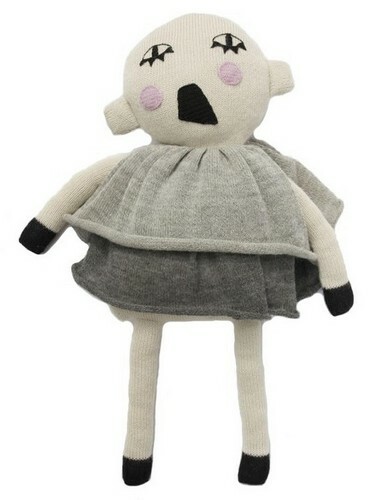 The Keptin Jr Baby Doll from Sustainababy is made for play time. Ready for an outing in the doll’s pram, a nap in a cradle or a cuddle, this simple, timeless baby doll is sure to be loved. 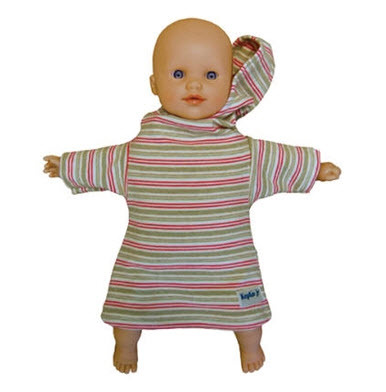 The Keptin Jr Baby Doll is eco-friendly, filled with natural Ingeo fibre and is $79.95. Balance out the toys in the Christmas stocking with some practical pieces. 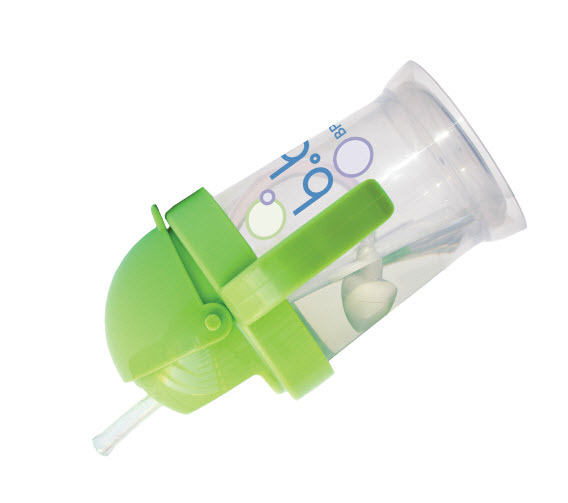 As the name suggests, the b.box Essential Sippy Cup is essential. Breeze through hot summer days with a sippy cup that can be drunk from to the very last drop! With its innovative weighted straw that moves with the liquid, whatever angle the cup is tipped, the Essential Sippy Cup is easy to use for babies and toddlers. The cup is $14.95 and is available from various stockists. Beach babes will delight in the gorgeousness that is Alfie and Nina. 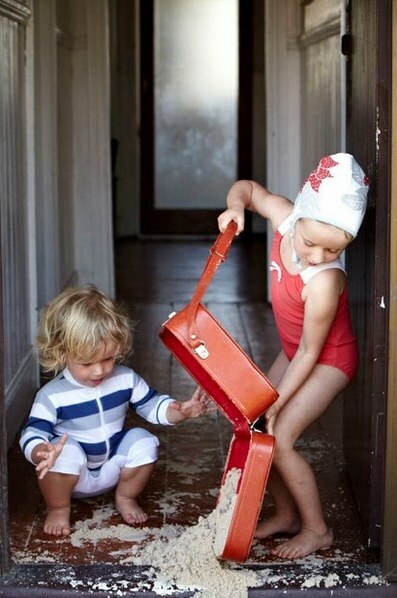 Swimwear designs that have retro charm in prints that will make you swoon are set make your bub stand out on the sand. Our pick is the practical (and lovely) All in One Zip-Up Rashie priced at $59. 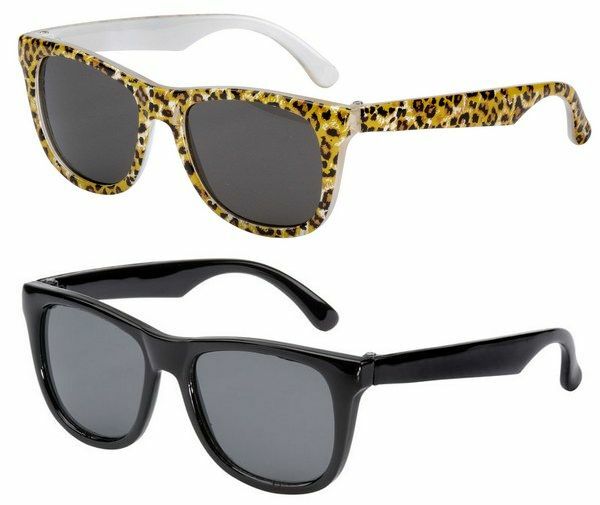 Add the finishing touch of hip with sunglasses for cool cats by Eyetribe. Baby size sunglasses come in all sorts of colours and patterns but we can’t resist the Minnie Frankie Ray Gidget glasses in leopard print or the always-cool black Minnie Frankie Ray Gadgets. Eyetribe sunglasses offer full UV protection and cost $29.95 each. Blend comfort and style with cute Huckleberry Lane pyjamas from Billy Lids. 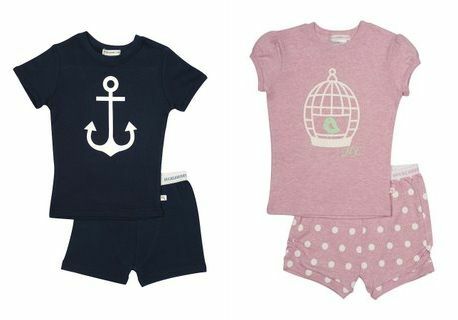 It’s anchors away for little boys and polka dots and birds for girls and the cotton knit makes for comfortable sleeping on hot summer nights. Pyjamas are $39 to $41.50. For a truly luxe Christmas gift for a lucky little kid, the Lucky Boy Sunday Beauty Baby from Minibots is a stunning choice. Creating modern luxury knitted art toys, Lucky Boy Sunday designs are highly creative, unusual and bring an artistic edge to the nursery. The Lucky Boy Sunday Beauty Baby is $109. And at the end of a long, hard day on the Christmas party circuit, where’s the most stylish spot to sit? 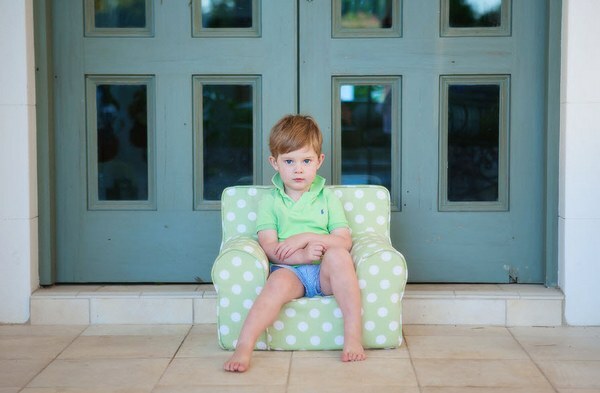 On an Incy Interiors Armchair, of course! The perfect addition to the nursery or the lounge room, these pint-sized, super-comfy armchairs are available in a range of fabrics and are $129 each.